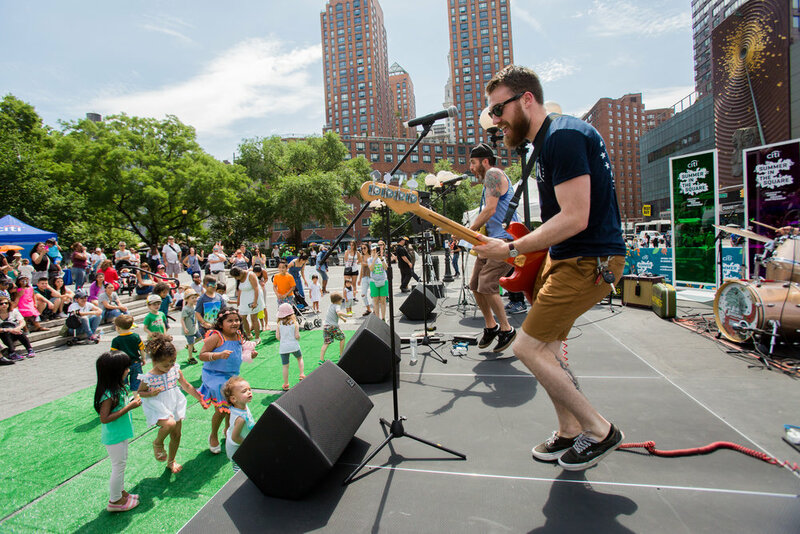 Join the Union Square Partnership for our line-up of spring, summer and fall community events in 2018. Stay in touch by subscribing to our newsletter for event updates all season long! At our neighborhood's largest networking event - bringing together area residents, business leaders, employees and key stakeholders to celebrate - learn about our work in Union Square and how you can get more involved in the Partnership. 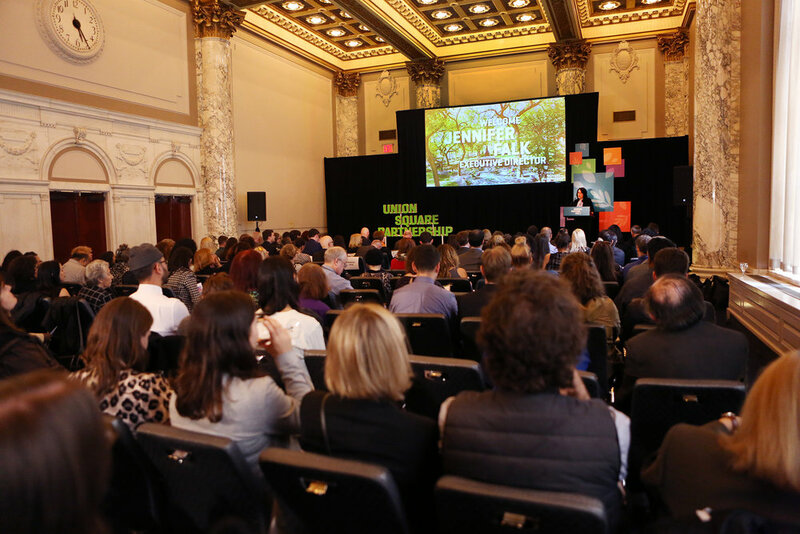 This year features a Welcome Address from newly elected Council Member Carlina Rivera, a Special Presentation by Buzzfeed's Editor-in-Chief Ben Smith, and USP's Executive Director Jennifer Falk's Annual Report. Come out to Union Square Park on Saturiday, June 2nd to celebrate Living Green in Union Square. Bring sustainability from our park into your home through herb planting, composting, interactive kids' games, and more. Join us in the park every Thursday for 9 weeks of free community programming in Union Square Park, filled with a packed line-up of free fitness classes, family-friendly activities + shows, live music + dance performances, movie nights and more all in Union Square Park. The event is free and open to the public. Highlighting the very best that the district has to offer, this treasured event showcases the strength and breadth of Union Square's culinary community. 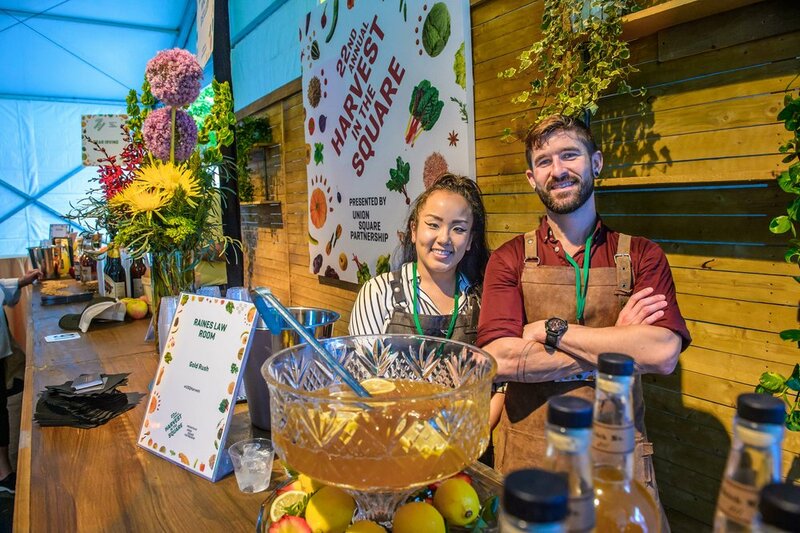 Now in its 23rd year, Harvest in the Square serves to raise vital funds for the Union Square Partnership's extensive beautification and complimentary community programs. Taste food and drink from over 60 local businesses as you mingle with executive chefs and restaurateurs. Tickets go on sale in July 2018.